Weekly weigh in and sleeping all night! 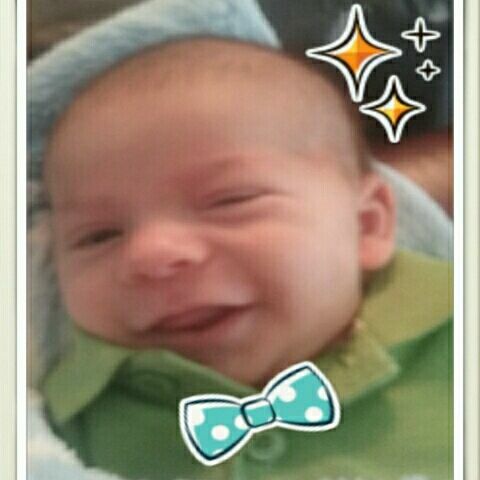 Finally got a picture of my littlest man smiling, though it's more of a gassy winky smile :) So after a week of dealing with my husband working late hours, my oldest kids having lice, and planning my ten year high school reunion I've gained weight this week. Last week: 214 Goal: 212.5 Weigh in: 216.4 Well poo... I probably shouldn't have checked my weight Wednesday because it was starting to creep up and I just "knew" I wasn't going to make goal so I had two glasses of cola and a slice of chocolate pie. Good news is my one month old (pictured above) slept through the night two nights in a row!!! I've done fantastic and tracked all my food today and I'm about to do some lower body strength before bed! So here's to a new week! So cute, hopefully he will continue to sleep all night so that you can get your sleep also. The gain is probably from stress. That's what happens to me anyway. You got this! Ps love the bowtie so cute!